Six years after the First Moroccan Crisis, during which Kaiser Wilhelm's sensational appearance in Morocco provoked international outrage and led to a strengthening of the bonds between Britain and France against Germany, French troops occupy the Moroccan city of Fez . . . sparking German wrath and a second Moroccan Crisis. In March 1911, French authorities claimed, rebel tribes staged an uprising in Morocco, endangering one of the country's capital cities, Fez. The sultan appealed to France for help restoring order, which led the French to send their troops to Fez on May 21. Germany, however, wary of French power in Africa, believed the French had fomented the tribal revolt to create an excuse to occupy Morocco. The German foreign secretary . . . neglected to consult key personnel, including the chiefs of the armed forces, before sending a naval cruiser, the Panther, to anchor in the harbor of Agadir on Morocco's Atlantic coast, asserting Germany's claims of French aggression on July 1 in an attempt to encourage resistance against the French among the native population. Though, as in the First Moroccan Crisis, Germany had counted on France's isolation and eventual submission, this did not prove to be the case, as Britain once again backed France, its partner in the Entente Cordiale of 1904. David Lloyd George, Britain's Chancellor of the Exchequer, made this clear in a public address in London . . . on July 21. After Russia too gave its support to France, though somewhat ambiguously, and Austria-Hungary failed to lend Germany even its diplomatic support, the Germans were forced to back down. In the ensuing negotiations, concluding November 4, Germany reluctantly agreed to recognize the French protectorate over Morocco in return for territorial concessions—which they deemed inadequate—in other regions of Africa. Meanwhile, military talks began between the British and French, and it was decided that their two navies would divide responsibilities—with the French taking control of the Mediterranean—and the British, the North Sea and the English Channel. As the two countries moved from friendship to alliance, counting Russia as well on their side in the wake of the Second Moroccan Crisis, a powerful Germany found itself increasingly isolated, with only tenuous support from its fellow Triple Alliance members, Austria-Hungary and Italy. As Helmuth von Moltke, chief of the German general staff, wrote to the German chancellor, Theobald Bethmann von Hollweg in a memorandum dated December 2, 1912: All sides are preparing for European War, which all sides expect sooner or later. American pilot Charles A. Lindbergh lands at Le Bourget Field in Paris, successfully completing the first solo, nonstop transatlantic flight and the first ever nonstop flight between New York to Paris. His single-engine monoplane, The Spirit of St. Louis, had lifted off from Roosevelt Field in New York 33 1/2 hours before. 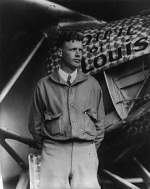 Lindbergh, born in Detroit in 1902, took up flying at the age of 20. In 1923, he bought a surplus World War I Curtiss "Jenny" biplane and toured the country as a barnstorming stunt flyer. In 1924, he enrolled in the Army Air Service flying school in Texas and graduated at the top of his class as a first lieutenant. He became an airmail pilot in 1926 and pioneered the route between St. Louis and Chicago. Among U.S. aviators, he was highly regarded. In May 1919, the first transatlantic flight was made by a U.S. hydroplane that flew from New York to Plymouth, England, via Newfoundland, the Azores Islands, and Lisbon. Later that month, Frenchman Raymond Orteig, an owner of hotels in New York, put up a purse of $25,000 to the first aviator or aviators to fly nonstop from Paris to New York or New York to Paris. In June 1919, the British fliers John W. Alcock and Arthur W. Brown made the first nonstop transatlantic flight, flying 1,960 miles from Newfoundland to Ireland. The flight from New York to Paris would be nearly twice that distance. . . . .
At the Le Bourget Aerodrome in Paris, tens of thousands of Saturday night revelers had gathered to await Lindbergh's arrival. At 10:24 a.m. local time, his gray and white monoplane slipped out of the darkness and made a perfect landing in the air field. The crowd surged on The Spirit of St. Louis, and Lindbergh, weary from his 33 1/2-hour, 3,600-mile journey, was cheered and lifted above their heads. He hadn't slept for 55 hours. Two French aviators saved Lindbergh from the boisterous crowd, whisking him away in an automobile. He was an immediate international celebrity. President Calvin Coolidge dispatched a warship to take the hero home, and "Lucky Lindy" was given a ticker-tape parade in New York and presented with the Congressional Medal of Honor. His place in history, however, was not complete. In 1932, he was the subject of international headlines again when his infant son, Charles Jr., was kidnapped, unsuccessfully ransomed, and then found murdered in the woods near the Lindbergh home. German-born Bruno Richard Hauptmann was convicted of the crime in a controversial trial and then executed. Then, in the late 1930s and early 1940s, Lindbergh became a spokesperson for the U.S. isolationism movement and was sharply criticized for his apparent Nazi sympathies and anti-Semitic views. After the outbreak of World War II, the fallen hero traveled to the Pacific as a military observer and eventually flew more than two dozen combat missions, including one in which he downed a Japanese aircraft. Lindbergh's war-time service largely restored public faith in him, and for many years later he worked with the U.S. government on aviation issues. In 1954, President Dwight D. Eisenhower appointed him brigadier general in the Air Force Reserve. Seeking a firmer political footing than that offered by Italy and the coercive power of the police, military, and Heimwehr, Dollfuss formed the Fatherland Front (Vaterländische Front) in May 1933. The front was intended to displace the existing political parties and rally broad public support for Dollfuss's vision of a specifically Austrian nationalism closely tied to the country's Catholic identity. Dollfuss rejected union with Germany, preferring instead to see Austria resume its historical role as the Central European bulwark of Christian German culture against Nazism and Communism. 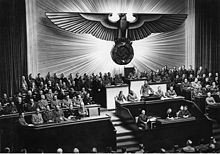 In September 1933, Dollfuss announced plans to organize Austria constitutionally as a Catholic, German, corporatist state . . . .
Dollfuss's constitution was promulgated in May 1934, and the Fatherland Front became the only legal political organization. 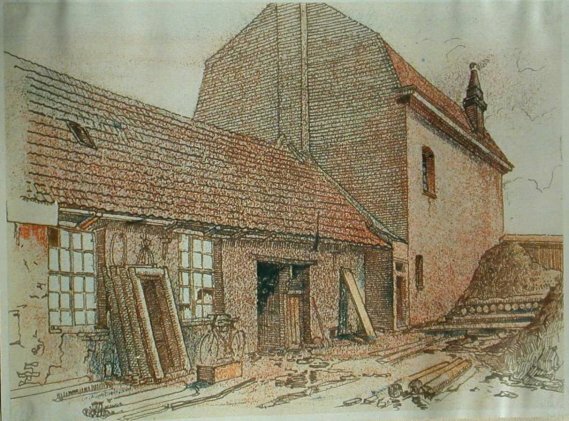 Austrian society, however, remained divided into three camps: the nationalist bloc that was associated with the Heimwehr and the bloc represented by the CSP struggled for control of the Fatherland Front; the socialist bloc fell back on passive resistance; and the nationalist bloc—dominated by the Nazis—boldly conspired against the state, with support from Germany. In June 1934, Hitler and Mussolini had their first meeting. Mussolini defended his support of Dollfuss, while Hitler denied any intent to annex Austria but made clear his desire to see Austria in Germany's sphere of influence. Austrian Nazis, however, were embarked on a more radical course. They conspired to seize top government officials and force the appointment of a Nazi-dominated government. The Dollfuss government learned of these plans before the putsch began on July 25 but did not make adequate preparations. 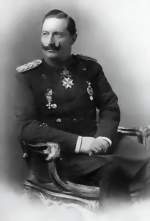 Although the army and the Heimwehr remained loyal, and the coup failed, Dollfuss was killed. 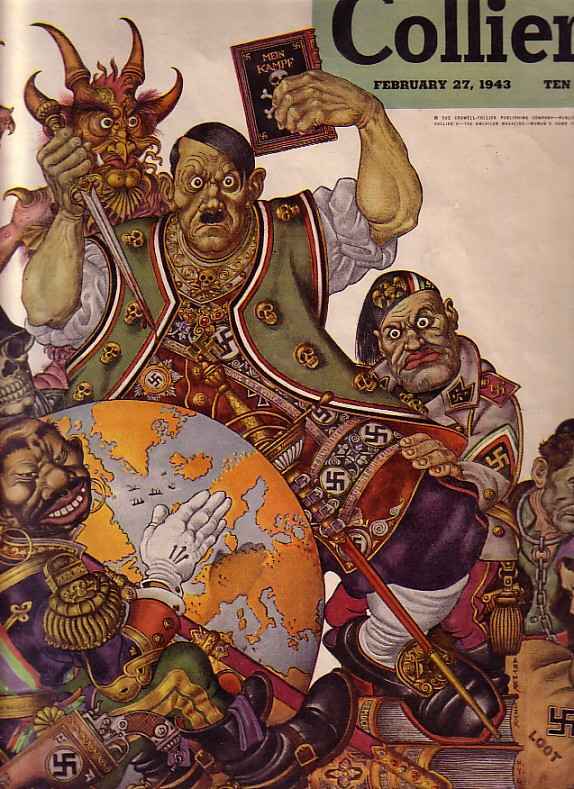 Strong international indignation over the putsch forced Hitler to rein in the Austrian Nazis, but Hitler's goal remained the eventual annexation (Anschluss) of Austria. RAF Command: 77 aircraft from 92 dispatched (32 Wellingtons, 24 Whitleys and 18 Blenheims) continue the RAF's attempt to halt the German advance in Northern France. 57 out of 58 Blenheims attack German troops looking to reach the French coast. 57 aircraft find targets, but some do not attack due to presence of civilians. 3 Blenheims lost on reconnaissance patrols. On this day in 1940, a "special unit" carries out its mission-and murders more than 1,500 hospital patients in East Prussia. USA: Unlimited state of national emergency proclaimed: seven months before the Japanese attack on Pearl Harbor. War at Sea: The first US ship to be sunk by a German U-boat, is the freighter SS Robin Moor, 950 miles off the coast of Brazil. 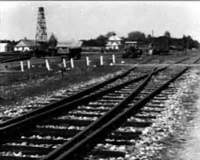 On this day in 1942, 4,300 Jews are deported from the Polish town of Chelm to the Nazi extermination camp at Sobibor, where all are gassed to death. Sobibor had five gas chambers, where about 250,000 Jews were killed between 1942 and 1943. A camp revolt occurred in October 1943; 300 Jewish slave laborers rose up and killed several members of the SS as well as Ukrainian guards. The rebels were killed as they battled their captors or tried to escape. The remaining prisoners were executed the very next day. IG Farben, as well as exploiting Jewish slave labor for its oil and rubber production, also performed drug experiments on inmates. Tens of thousands of prisoners would ultimately die because of brutal work conditions and the savagery of the guards. Several of the firm's officials would be convicted of "plunder," "spoliation of property," "imposing slave labor," and "inhumane treatment" of civilians and POWs after the war. The company itself came under Allied control. The original goal was to dismantle its industries, which also included the manufacture of chemicals and pharmaceuticals, so as to prevent it from ever posing a threat "to Germany's neighbors or to world peace." 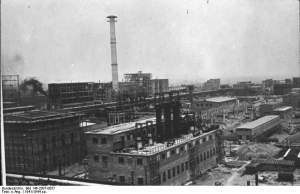 But as time passed, the resolve weakened, and the Western powers broke the company up into three separate divisions: Hoechst, Bayer, and BASF. Poland: The AK frees 1,400 Polish prisoners from NKVD prison in Rembertow. Just like you in America, our scientists have been studying the smashing of the atom. You are more advanced in America; you have the large cyclotrons. I have supported it during my tenure and have built several small cyclotrons, one of which is in Heidelberg. According to my opinion we were far behind your men in America. Dr Siemers: May I come back to one question put by Sir David. On Page 1 Sir David had been reading as follows: "But if—as was stated—in nearly all spheres of armament where the Navy was concerned, the Treaty of Versailles was violated in the letter and all the more in the spirit, or at least its violation was prepared, a long time before the 16th of March 1935...." Then Sir David asked you: "Do you want to say that this is untrue?" You answered but you did not quite finish your reply, at least it never became quite clear what you said in the German or the English record. I want you to tell me why you are of the opinion that Assmann was not quite right in this respect? Raeder: It is an utter exaggeration. First of all, violations—as have been proved here in detail—were mostly of a very minor nature; and only the number of deviations may have given the impression that there were many violations. Secondly, in its essential points, we never actually filled the quotas allowed by the Versailles Treaty; in fact, we remained below the figures granted. Besides, only defense measures are involved, very primitive defense measures—Assmann's representations are just a great exaggeration. Raeder was not an immediately appealing witness. His intolerance of challenge or criticism was seldom controlled; he would snap at anyone. He had a puffy, haggard face topped by sparse black hair parted in the middle. The diamond-shaped dark glasses he often wore in court to counteract the dazzle of the courtroom lights gave an inappropriately festive look to a basically dour and sometimes bad-tempered face. Few people warmed to Raeder. Gilbert had noted that he was academically intelligent with a 'practical, unimaginative mentality' but saw him as 'an irritable old man.' Yet significantly Andrus confessed: 'I could not help but have very great sympathy' for him. Andrus felt sorry for a man who had suffered captivity in Russian hands and was moved by his anguish over his wife who was still in the Russian Zone and could not be contacted. Andrus had a soft heart; it only hardened to those who whined or failed to reach his standards of domestic hygiene. Raeder's testimony took up most of three days. He wallowed in facts and figures on rearmament and basked in the details of the numbers, classes and tonnage of ships. His counsel, Siemers, did nothing to restrain him. Siemers himself was long-winded and plodding, and set about enumerating each prosecution allegation and inviting lengthy replies from his client to each separate detail of a section or a point. Even Raeder on the first afternoon lost patience with his method. 'The individual cases are gradually becoming more ridiculous. I consider it a waste of time.' So did the Tribunal. Yesterday, Raeder continued his testimony—but under cross-examination. He followed the defense line—and committed perjury high, wide and handsome. Sir David did a good job I thought on the cross-exam. I am continually shocked at the appearance of former German admirals, generals, cabinet officers, bankers, etc., who get on the witness stand under oath and proceed to lie in the most shameful manner. Little wonder that catastrophe attended them. Justice Jackson returned from London and Paris yesterday and looked more rested than when he left. This morning we continued with Raeder and finally got him off the stand a little after noontime. It has been much too long a defense—much of it irrelevant and of no value. Severing: Groener came up to me in the first session of the Mueller Government and said that he was looking forward to a sincere collaboration with me. I quoted a passage from that occasion, "May there be truth between us." Only complete sincerity would make possible fruitful co-operation, I said. The President: Dr. Siemers, the Tribunal thinks that this is an absolute waste of time and this speech of the witness is entirely irrelevant. Why do you not ask him some questions which have some bearings on the case of Raeder? Dr Siemers: Mr. President, may I remind you that the Prosecution has made the accusation that the rebuilding was undertaken by means of a secret budget and that a secret rearmament was carried on with the idea of starting wars of aggression. It is not quite clear to me how I can cross-examine the witness in any other way than by asking him how these secret budgets, which to a certain extent are practically identical with violations of the Versailles Treaty, were dealt with in his government. That is exactly what I just questioned the witness on. The President: This speech that you have drawn our attention to is simply a speech in which he said that he did not think that armored cruisers were of any use. That is the only meaning of the speech, except insofar as it refers to the fact that reparations had not been paid. For the rest it simply says that armored cruisers, in his opinion, are of no use. 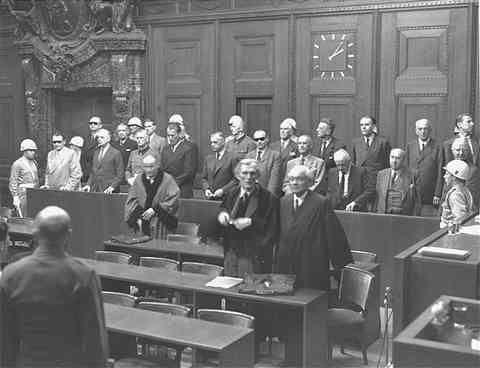 Dr Seidl (Counsel for Defendant Rudolf Hess): Witness, on 23 August 1939, a nonaggression pact was concluded between Germany and the Soviet Union. Were any other agreements concluded on that day by the two governments, outside of this pact of nonaggression? Rudenko (Chief Prosecutor for the USSR): Mr. President, the witness is called upon to answer certain definite questions which are set forth in the application of counsel for the defendant, Dr. Siemers. I consider that the question which is being put to him at this moment by the defense counsel Seidl has no connection with the examination of the case in hand and should be ruled out. The President: You may ask the question, Dr. Seidl, [which] you were going to ask. Dr Seidl: I ask you again, Herr Von Weizsaecker, whether on 23 August 1939, other agreements had been reached between the two governments, which were not contained in the nonaggression pact? Weizsaecker: Yes. Dr Seidl: Where were these agreements contained? Weizsaecker: These agreements were contained in a secret protocol. Dr Seidl: Did you yourself read this secret protocol in your capacity of State Secretary in the Ministry of Foreign Affairs? Dr Seidl: I have before me a text and Ambassador Gaus harbors no doubt at all that the agreements in question are correctly set out in this text. I shall have it put to you. The President: One moment, what document are you putting to him? Dr Seidl: The secret addenda to the protocol of 23 August 1939. The President: Is that not the document-what is this document that you are presenting to the witness? There is a document which you have already presented to the Tribunal and which has been ruled out. Is that the same document? Dr Seidl: It is the document which I submitted to the Tribunal in my documentary evidence and which was refused by the Tribunal, presumably because I refused to divulge the origin and source of this document. But the Tribunal granted me permission to produce a new sworn affidavit by Ambassador Gaus on the subject in question. The President: You have not done it? You have not done it? Dr Seidl: No, but I should, Your Honor, like to read this text in order to stimulate the memory of the witness, and to ask him whether in connection therewith, as far as he can remember, the secret agreements are correctly reproduced in this document. Rudenko: Your Honors! I would like to protest against these questions for two reasons. First of all, we are examining the matter of the crimes of the major German war criminals. We are not investigating the foreign policies of other states. Secondly, the document which defense counsel Seidl is attempting to put to the witness has been rejected by the Tribunal, since it is, in substance, a forged document and cannot have any probative value. 1949 Death: Klaus Mann: German writer. German-born physicist & Nobel Prize laureate. 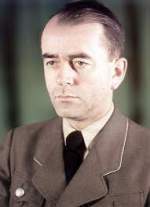 In 1933, after the Nazis came to power, he left his post in Germany and continued his research in the United States and became involved in the Manhattan Project during World War II. When Germany invaded Denmark in World War II, the Hungarian chemist George de Hevesy dissolved the gold Nobel Prizes of Max von Laue and James Franck into aqua regia to prevent the Nazis from stealing them. He placed the resulting solution on a shelf in his laboratory at the Niels Bohr Institute. After the war, he returned to find the solution undisturbed and precipitated the gold out of the acid. The Nobel Society then recast the Nobel Prizes using the original gold. In an attempt to consolidate his own power and ease political and ethnic tensions in the Soviet republics of Armenia and Azerbaijan, Russian leader Mikhail Gorbachev dismisses the Communist Party leaders in those two republics. . . .
Seventy-six-year-old Richard Keech shoots his son-in-law, Nicholas Candy, to death outside his Long Beach, California, home. Candy, in the midst of a divorce and custody battle with Keech's daughter Nancy, had arrived to pick up his son. As he staggered away down the street yelling, "Help me, help me," Keech shot four additional bullets in his back. Candy died on a neighbor's lawn. The case captured national attention because Keech had a highly unusual defense-post-traumatic stress disorder, caused by being a prisoner of war during World War II. Richard Keech was a young Marine when the Japanese captured him at Corregidor in the Philippines. He spent more than 40 months as a POW in the South Pacific until the United States finally won the war. Enduring brutal treatment, Keech later returned home and established a stable life. He and his wife raised four children, including Nancy . . . . According to his defense, Keech fired the first shot in order to defend himself from Candy's attack. The four subsequent shots were allegedly the result of a flashback. Keech testified that while he was shooting Candy, he thought he was back in the Japanese prisoner camps and was about to be beaten to death for hurting a guard. The jury didn't buy Keech's defense; he was convicted of first-degree murder in 1997.